SUMMARY: Many marketers don’t realize that direct response radio can reach incremental audiences -- not just the same prospects you’ll find online or in print. As a marketing channel, radio is appealing because of its combination of high reach, high targetability and low cost. Direct response radio advertising can be a mystery to marketers with print, Web or TV experience. “It’s an overlooked medium. It’s kind of a pun, because you can’t see radio, but it’s also overlooked in the sense that people haven’t discovered what radio really can do,” says Brett Astor, VP, Strategic Media Inc.
Radio is a very measurable medium, meaning that once marketers find an approach that works, they can scale their campaigns quickly by adding more stations to the media buy. Problem is, there are pitfalls that come with the fact that the ads have no visual component. The technique requires an approach that leans heavily on the specific offer, tight copywriting and careful testing before rolling out a full-fledged campaign. To help understand those issues, we spoke with Astor for tips on conceiving a direct response offer, writing and producing the ads and then testing that creative to make sure you get the best results. Compared to television, radio can be an affordable broadcast medium to test. Still, Astor recommends a budget of around $20,000 for the creative development and media spend required to do an adequate test. - A 60-second radio spot is the standard length for a direct response radio ad -- anything less isn’t enough time to deliver a compelling offer. Developing these spots can cost less than $1,500, but Astor recommends budgeting $1,750. - Radio air time rates vary widely, depending on the size of the audience, demographics, time of day and other factors. Remnant spot ads can cost under $100, but attempting to buy spot ads on the cheap isn’t the best way to test a direct response campaign. Instead, plan to budget $3,000-$6,000 per week for a four-week test on different stations and at different times of day to learn as much as possible about what combination of creative and media targeting works best for you. -> Tactic #2. Is your product or service a good match for the medium? Not everything lends itself to radio advertising. The biggest issue is whether the product or service is so abstract that it absolutely requires a visual component for people to understand it. Products that are so new or cutting edge that consumers can’t picture how it works, or products that people will buy solely on how they look, such as clothing, aren’t easy to pitch in a 60-second radio spot. Even if you’re worried that the audience needs to see how something works before buying, you can still use direct response radio as one step in a multichannel marketing campaign. Someone marketing a new type of home fitness equipment, for example, can use radio to offer a free demonstration video. “Every time we say something won’t work, someone comes in with new approach,” Astor says. Before you develop your offer and write your ad, make sure you base your creative strategy on solving a current problem, filling an urgent need or providing an immediate benefit. Instead, highlight an immediate benefit: a product that will help regrow hair, not prevent you from ever going bald. Once you determine your customers’ urgent need, you can articulate how your product provides a solution. The success of your campaign will depend in large part on making the offer unique. In some cases, the distinctiveness of your offer comes from the inherent uniqueness of your product. But in many categories, you can face dozens of competitors with similar products, where simply saying, “Our product really works,” won’t cut it. - An inward focus on what makes your company different. Perhaps there’s a unique story about the company founder or product inventor, a different aspect of working with your company over another or a side benefit that no other product or service offers. - A strong initial offer or premium. 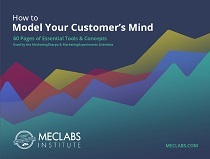 Depending on the strength of your business model and your ability to develop long-term customers with high lifetime values, you can experiment with ways to drive trial sales, such as free samples or subscriptions or two-for-the-price-of-one deals. Without images to help deliver your message, copywriting becomes the crucial element of your ad. Astor suggests taking an intensive approach to the copywriting process, starting out with a detailed campaign brief document. - An appeal to emotion and logic. Buyers’ interest is triggered by an emotional appeal that taps into that urgent need or want. You want to make an emotional appeal at the beginning, with something that will get people’s attention. Then, you can address the logical aspect of people’s thought processes with elements such as a free trial offer, an invitation to call or visit a Web site for more information or a money-back guarantee. - A succinct account of the product’s key benefits. Distill that comprehensive list of features in your campaign document to the three strongest features that will be most attractive to your potential customers. While some ads attempt the kitchen sink approach, Astor says, most marketers have success with a tightly focused approach. Remember that a marketer’s favorite benefits may not be the most important to the audience, so turn to any primary research you have on your existing customers. If you don’t have that data at the outset, you can incorporate benefit options into your testing phase (more on that later). - A call to action. Offering a trackable telephone number or unique URLs enabled with Web analytics are the most important way to determine the effectiveness of your ad. The call to action also should break down barriers that might keep the audience from contacting you, such as an offer for a free trial, a money-back guarantee or premium for quick response. - Legally acceptable claims. Each product or category has its own set of regulations governing what claims you can make, so be sure to craft your message accordingly. For example, nutritional supplements cannot be said to “cure” conditions; they can only be said to support certain positive outcomes, which must be substantiated with some kind of research. You want your ad to sound professional and feature elements that tell the story without taking away from the offer or the call to action. Marketers may be tempted to load their ads with additional production elements in an attempt to catch listeners’ attention, but beware: These bells and whistles may end up distracting listeners. - Sound effects. Use sparingly and only when the sound effect is relevant to the appeal. Astor remembers an ad for an herbal supplement to minimize smoking cravings. The message focused on the health benefits of quitting smoking and used a sound effect of a beeping heart monitor to drive home the point about smoking’s negative effects. - The voiceover. Develop an idea of the kind of voice you want to speak your script as you are writing the ad. You may want an authoritative male voice or a faster, more upbeat reading. With this focus, you can work with your agency or a voice talent bureau to find four or five people to audition reading the script. While the voiceover is important, Astor recommends not worrying too much about choosing who reads your ad. Typically, by knowing from the outset what type of voice you want for your ad, you’ll find something close to how you imagined it sounding within those four or five professional auditions. Once you’ve developed different versions of your ad, design a media test plan that puts those messages in front of your target audience. A test phase typically involves six to 10 stations, chosen by format and time of day to match your customer demographic. Each format can be further broken down with details such as gender split, household income, listening habits and other factors. Your goal is to track the results by ad and by customer audience to determine which creative and media variables are most effective. For ads that require a telephone response, assign a unique phone number to each ad and use a call center that can track incoming calls by geographic region. Ads requiring an online response should use unique URLs. Buyers who respond to radio ads can be high value customers, spending a median $59 per purchase compared to a median $40 per purchase for TV informercial buyers. There are no benchmarks or averages available that marketers should expect to see. Results will vary by company and campaign and on factors such as price point and lifetime value of the customer. For example, a company in the financial services category with high price point products might generate a good ROI with lower response rates. By contrast, a company with a low price point item would need higher response and conversion rates to achieve a good return. Even for low-price items, though, a lower conversion rate can still lead to good ROI for a campaign if the company knows it has a high lifetime value for each customer. “It really comes down to understanding your business and what you can afford to pay to acquire customers. You need to know what your profitability metrics are,” Astor says.